Another year has come and gone and like several of my good blogging friends have done I wanted to recap the Top 5 Posts from this year. I am sorta surprised at the mix but there are some, if I do say so myself, good posts. Quick List Of iPad Resources For The Classroom-This was my top post of the year. It contains several of my favorite sites and collections of using not just iPads but mobile devices in general in the classroom. Twitter In Schools-A Getting Started Guide-In this post I lay out things to consider when starting a class/school/district Twitter account. There's more to it than just signing up.Who will manage? What will you tweet? Even what should your name be? There are all sorts of questions to ask when getting started. Twitter Series-A New Kind Of PD- Back at the beginning of this school year I did a series of posts related to using Twitter as an individual. In this post I address Professional Development when it comes to teaching about Twitter and how I radically changed the way I do it. Is it possible to use Twitter without being a member? Sure. And for some that's all they need. Twitter Series-Super Secret Tips And Tricks- Another post from my Twitter series, in this one I give you everything you need to know to get more out of Twitter and to find more good information. Taking Care Of Your Digital Self- Cultivating a digital footprint is important and in this age it begins even before birth. What can you do to begin taking control and getting a positive message out there? And what can you do to protect yourself at the same time. 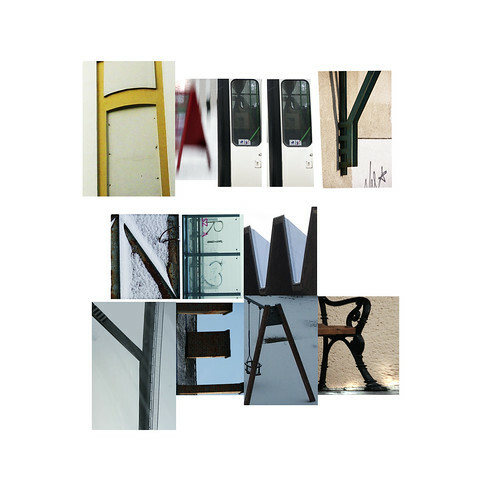 Here's to another great year of blogging, learning, reflecting and growing, together! So if you haven't noticed, this blog has a new address on the web. I have had the domain for a while now and am beginning to develop my complete digital portfolio in a few spaces. Adding my blog was a first step. So that means if you subscribed via RSS you are going to need to update your subscription to the new address. And you can do that easily by just plugging the new address in your favorite RSS program and it will pick up the new feed or you can use the toolbar at the bottom of the blog to subscribe that way as well. 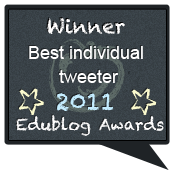 I was honored to receive the Twitterer of the Year Award from Edublogs for 2011. I originally won this award back in its first year in 2009 and it really is an honor for me. To be recognized by your peers for something you get to do (and love to do) everyday is humbling. I don't use Twitter for awards or #FollowFridays or mentions or retweets. (Those things are just awesome perks.) I do what I do and am involved in that space because of the people. The conversations I get to have, the questions I get to help answer and the friendships I make all mean more to me both professionally and personally than I could ever describe. I have had the opportunity to travel to more places, meet more people and do some of the most important learning I could have ever do and all of that is because of the fact that I am on Twitter and involved in social media spaces. And you reading this blog, following my tweets and generally putting up with me means a lot. If you haven't heard You Tube Education officially launched today. It's actually been around for a few weeks but today was the unavailing of the site and the announcement of major content partners. I had the pleasure of talking with James Sanders, the project manager today about the vision for this and some things coming down in the future. I will say, I am pretty excited about this one. You can search by Category (K-12, Higher Ed, or my favorite, Life-Long Learning). It's great because when you do a search, only the results in the EDU domain are returned. Now, remember, this is a beginning. It's not prefect and not all the content that you want is in there. But I will say there is a great deal of some super awesome stuff. James wanted me to point out that you can suggest playlists and content you want to be in there by going to the You Tube Teachers Channel and clicking on, you guessed it, Suggest Videos. There you can also sign up to be a content partner and provide content too. So head over to You Tube Education and check out the great stuff there and if your district blocks You Tube perhaps you can suggest they check it out too. 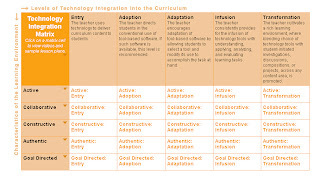 Earlier this year our group adopted the TPACK model of technology integration. What is TPACK you ask? Basically, it takes the approach that planning for technology integration shouldn't be an event. It should be something that adds to what we are already doing. Through the use of Activity Types, teachers can take the activities they are already doing and match them up with appropiate technologies that may or may not work, depending on the context of learning. You can view this presentation to learn more. According to the feedback we have gotten from the folks who have embraced it has been overwhelmingly positive. Being able to take the content (which is king by the way) and the activities we always use or want to use with our kids and matching them up easily with the technology has made it much simpler to plan. And the Activity Types Sheets are great to keep in the plan book so they are always there. Recently I came across something that you can also use to make technology integration easier for you and your staff. 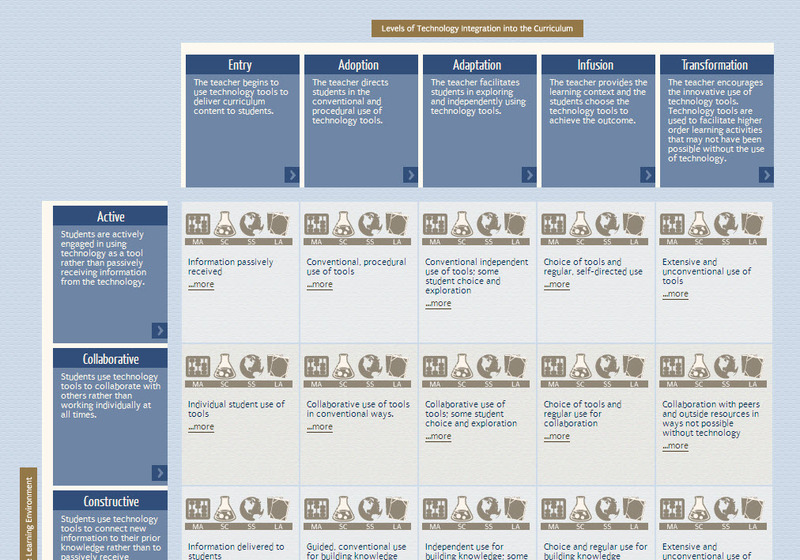 The Technology Integration Matrix uses examples for subject area and grade level to attempt to show how technology integration can work in any type of environment. There are actually 2 that you can take a look at. The first is the original from The Florida Center For Instructional Technology at the University of South Florida. The other is an adaption from Northern Arizona University. Down the left hand side of each is the learning environment. Active, collaborative, goal centered are just a few. 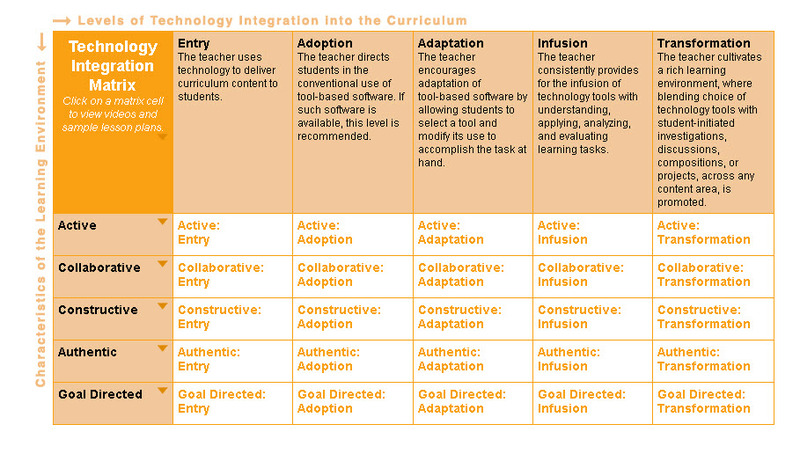 Across the top are the levels of integration, moving from entry to transformational, left to right. So you match up where you feel you are. Maybe you are a newbie. Maybe you have kids using technology (rather than passively engaging with it) and you are at the entry level. Go to that box, find your grade level and subject area to get examples of technology integration. Remember these are just examples to show you how it would work. Adaption is always recommended. As you progress you move up the integration level and as your learning environment changes the types of integration change as well. You will notice that this is just for lessons where kids are actively engaged with using technology. There is nothing here for the teacher presenting material or using technology singularly. Technology integration is about getting kids out of their seats and working hands-on with the technology to create products. So between using the TPACK model of planning and the Technology Integration Matrix, using technology in the classroom doesn't have to be a mystery. It can be something that is pretty easy to plan for and do. When it comes to mobile learning there are loads of great sites for apps for kids and teachers. Everything from apps organized by Revised Bloom’s Taxonomy to apps organized by grade level and subject area. But what you might not know, especially if you are an administrator is that there are some great apps out there for you. 1) Google Docs-Where would I be with out Google Docs? Lost I am sure. My life is spent editing and creating documents, presentations and spreadsheets. And the ability to share those easily makes Google Docs my go-to app for editing, not only at the computer but on the go as well. I can edit, comment and view all my documents from this app, no matter where I am. So for the administrator, editing or viewing your school improvement plan, meeting agenda or walkthrough data can really increase productivity. 5) Skype-Desktop video calling is now available on the iPad. You can chat, make calls and even do free video calling, no matter where you are. Participate in a faculty meeting when you aren’t at school or meet virtually with other administrators to build your network. All on your iPad! 6) Zite-This is a Social Aggregator that takes topics you decide and pulls the most relevant stories related to those topics. They are then presenting and a pretty neat magazine format. And you can share what you read via Twitter, Facebook and email. So you can keep up with topics in education and share with your staff with ease. 7) Google Translate-In many of our schools English might not be the main language spoken. The Google Translate app is great for helping to break the language barrier with students and staff and you can put in text and get instant translations for emails and documents. 8) TED-These are inspiring talks given from some of the brightest minds on the planet. This app gives you access to the entire directory. You can use the TED talks build morale and challenge the thinking of your staff and students. 9) Dragon Dictation-Let’s face it, sometimes typing on the iPad can be challenging. Dragon Dictation does it all for you. Using the built-in mic you can dictate memos, documents, blog posts and more. 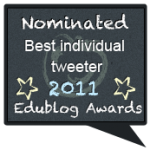 You may remember, last week I did my nominations for the 2011 Edublog Awards. 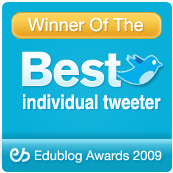 This is an annual event highlighting the best in the Edublogosphere and Twitterverse. I am humbled that I made the short list for Best Twitter of The Year (an award I won in 2009) and this blog is also on the short list for Best Edtech/Resource Sharing Blog. #Edchat also made the shortlist for Best Educational Hashtag. It is truly an honor to be nominated and I am in good company on both lists. I hope you will head over to the Edublogs Awards Voting site to vote (not just) for me but for all the other create producers and sharers of content. And, what I think, is the best part of this whole process are the new and exciting bloggers, blogs and resources to check out and share. You Know You Always Wanted To Know The History Of Searching The Interwebs, Didn't You? Kids do a lot of searching too. Pictures, music, games and even research for class, they spend a lot of time searching the web for content and information too. But if you asked how many of them know how search works or even the pretty interesting history of search. Yesterday Google posted on their blog a great video about the history of search and how it has evolved and adapted as folks changed their patterns of how they look for information.Understanding this can lead to better and more accurate results faster. There is also another video from about a year ago that tells exactly how Google search works. In terms of digital literacy and understanding where information comes from, this video should be standard viewing for kids. They need to understand how pages are ranked and that just because information is at the top doesn't always mean it's the best. Don't forget, there are some great lessons that Google has put together that help kids at all levels do better searches and understand where their information comes from. 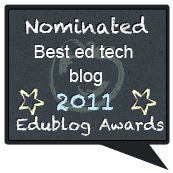 It's that time of year again, when bloggers from around the globe submit the best of the best in the education world from the previous year for the Edublog Awards. This is always a tough spot for me. I think everyone is great at what they do. And we should honor everyone who works tirelessly in schools and in education everyday to make learning better for kids. However, there are some that deserve a little something extra. Those who have gone the extra mile and are really making a different in the lives of kids and teachers everywhere. Best Overall Blog: Stump The Teacher Not only is Josh the current Illinois Teacher Of The Year but he is a really awesome guy too. His blog is an open reflection of his teaching and himself and every time I read a post I think a little bit differently about things. Best Group Blog: Edutopia Group Blog I always look foward to the posts that come out of here. Just today there was a post about financial literacy, while yesterday there was a lesson on how to use TED talks to enhance the Common Core curriculum. You never know the topics that will be covered but you always know it is going to be something worthwhile. 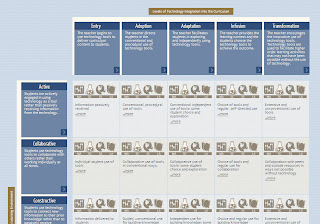 Best Edtech/Resource Sharing Blog: Free Technology For Teachers What Richard has created here is the model of what resource sharing is and should be. It is definitely in my "go to" blogs every morning when I am looking for something new or interesting in the world of Edtech. Most Influential Blog Post: "My Teacher Is An App"-Will Richardson Will is one of the most respected members of the education community and his posts always help to stretch my thinking. This one was no different. Taking a concept like blended learning (which I am totally for) and completely turning it on it's head and challenging all of us to be different for the sake of kids is more of what is needed. Most Influential Hashtag: #edchat Ok, I know, I am little biased on this one (since I helped to start it) but this hashtag is way more than the founders or the chats on Tuesday. It has become a gathering place for resources and meaningful conversations and is a great way for those new to Twitter to get engaged in a very easy way and see the value that Twitter can offer the profession. Best Teacher Blog: Upside Down Education As a former middle school teacher, I can identify a lot with what Amanda writes about in her blog. From about her post on changing the learning environment to her desire for change, I always look forward to her posts and often I get the pleasure of forwarding them on to folks in my district. Best Librarian/Library Blog: The VanMeter Voice The space that Shannon has put together here should be the standard for library blogs anywhere. The stories she shares about her learning and the learning her kids do in her media center help affirm that there is goodness out there in education. This is definitely one you need to pass along to a teacher/librarian that you know. Best School Administrator Blog: Burlington High School Principal's Blog Patrick is not only a great administrator his blog is great too. Whether it's sharing the stories of what is right with his school, resources for his teachers, tips for parents or more details about their 1:1 iPad roll out, this blog is another I use when talking with Administrators on what they should be writing about and how easy it is. Best Free Web Tool: Livebinders If you are are regular reader of this blog you know how much I love Livebinders. And if this is your first time visiting, I love Livebinders. It is such an easy tool to use and the uses are endless. Tina and Barbara have taken such great effort to create a great product and are continuing to improve it. Kudos to them! Best Open PD/Unconference/Webinar Series: The Reform Symposium The fact that this is a 3 day, 24/7 free, online PD is really amazing. The fact that the folks that organize this every year do it through just the use of social media is astounding. I had the honor of giving the first Closing Keynote two years ago and this year I was glad to just participate. What an amazing event where educators from around the globe present and share whats working in their classrooms and share ideas on how to improve learning, no matter where we are. Lifetime Achievement Jerry Blumengarten (Cybaryman) There isn't a whole about Jerry that hasn't already been said by folks for many years. Jerry has dedicated his life to education and even in retirement he still continues to maintain his website, participate in chats on Twitter and speak at events all over the country. I consider Jerry a close, personal friend of mine and it is an honor to be able to nominate him for Lifetime Achievement. I can't think of anyone else who has done more than Jerry. Here's to you my friend! So there you have have. My nominations for the #eddies11. There are loads of other great nominations that will come in. Oh and the Awards are a great way to discover new content too. Check out the winners and the nominees from last year and you will get an idea of the high-quality content that is out there. Be sure to check back here after Dec 2 with a link to the voting and see who is nominated in each category. Thankful For Thanksgiving? Looking for classes to Skype in and tell my classes, a wide variety of Grades 1-4, where they are from and what they are thankful this Thanksgiving. This should be just a quick skype call, with 2 or 3 students telling us why they are thankful. And, we will tell your class. Practicing Graphing- I am looking for a class to play battleship graphing with my class on September 28th or 29th. I have two PreAlgebra classes. One starts at 9:00am central time and the other starts at 9:50am central time. I will provide you with the board template. What Does Your Sky Look Like? My students are currently studying the solar system and moon phases. I would like to create a project with students from different parts of the world to show students how the Earth is positioned, thus causing different moon phases around the world. Regional Skype Pals- We are studying all 50 states, one region at a time. We would like to connect with classrooms all around the country who could give us information on how it is to live in other parts of the country. So why not start creating that wall-less classroom, one Skype call at a time. What we need is more innovation in schools. Over the past few days I have been tossing around the idea of innovation, especially when it comes to schools and learning. And the more I think about it, the more I just don't like that word. 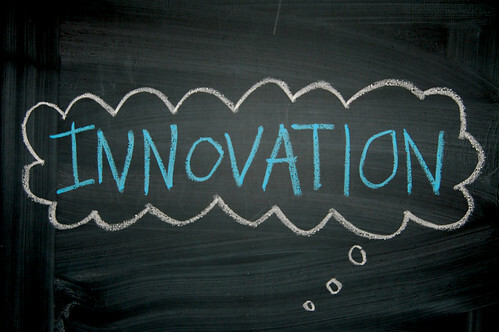 In its simplest form, the word innovation means "the introduction of something new." But when it is tied to learning I believe folks that want more "innovation" want something more than just something new. Innovations are supposed to be life changing and ground breaking. Take Steve Jobs. Most would agree he was an innovator. The products and vision he created at Apple were true innovations. Cell phones are the way they are because of him. Personal computers, the way we listen to music and more are the results of his innovations. But what happens when we want that of everyone? We should be pushing kids to think differently and to be creative in the classroom. No doubt we need much, much more of that. But when it is said that we need schools and kids to be more innovative I wonder, what happens after? Let's assume we get to a point where folks can proclaim schools and kids are now innovative. Ok. What next? Where do we go from there? 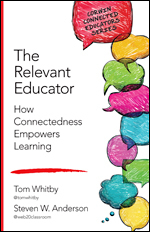 After everyone and every classroom is seen as an innovator or innovative what happens? What we need in schools is more creativity. We need to create environments where kids can explore and learn and grow together and on their own and especially environments where they can fail and feel good about that failure and learn from that failure. I understand where the want for more innovation comes from. Many schools and classrooms have remained static for more than a century, with only a few changes in thinking here or there. So an "introduction of something new" is definitely needed in some places. But as pointed out in this piece, we have to be careful with the words we use because many of what is called "innovation" is just smoke and mirrors for failed initiatives already in place now in many schools and districts. I think the best part of this week was the feedback I got about my questioning innovation on Twitter. There were a wide variety of opinions and ideas on what is needed. But it seemed even through all those conversations it came back to fostering a community of creative thinkers and doers. Lets just choose our words carefully. Forget about buzzwords and words to just get a rise or reaction out of people. Kids are more than buzzwords. Learning is more than buzzwords. Let's create communities of learners where they can feel like they can do and try and be anything. What do you think about innovation in schools? Or that word in general? Should we be using it when it comes to kids and learning? What does that word really mean when it comes to kids and learning and schools? Leave some comments below. I know there will be lots of posts and commentary over the next several days and weeks to one of the greatest innovators that ever lived. While I have nothing profound to add I did want to take time and space out to offer a humble post to someone who influenced pretty much everything around us. This is his 2005 Commencement Speech at Stanford. Watch and listen. Do it twice. My take away...we have to be better. We have to want to be better. We have to be willing to take the necessary risks and have the passion to make the necessary change. I am gonna try to be awesome not only today but everyday. This is the last in my series on everything Twitter. You can read this first on How I do Twitter PD and the second on What People Wish They Had Known Before They Started. Today lets look at all my tips, tricks and resources for getting more out of Twitter. 1) Where Do You Find All Those Links That You Post? Well my brain is hardwired to Google so I just think of something and it gets tweeted. Ok, if only that were true.Actually a lot of what I find to post comes from the work I do. And all goes back to where I started. Almost 3 years ago, when I created my account I was looking for a way to share the resources I was looking for with the teachers across my district. Twitter was a great and easy way to do it. And that has continued in to my current role. I get to spend lots of time looking for resources for teachers across my district. Sharing is caring so I figure if one teacher in my district can benefit there are probably others out there too. So the long and short of it is I usually start with a Google search. And that will yield some good results... sometimes. One of my favorite resources is the wisdom of the crowd. And there is no better place for that then Diigo. With Diigo search I can look for specific tags of items that folks have shared. Most of the time I get better results there than anywhere else. And I keep my links there too for anyone to be able to find. Most every link I have ever posted ends up there, eventually. And I don't hesitate to revisit and post something I already posted a while back. Google Reader is another place. I follow lots of different blogs on lots of different subjects. And I almost always find great content there. Sometimes it's like going down the rabbit hole. 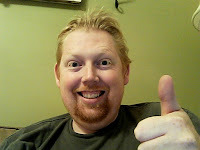 I will check out a post on one of my favorite blogs, FreeTech4Teachers, from my good friend Richard. He will post something that will lead me to something else, that leads me to something else and so and so on. I can get really deep looking for stuff, finding great content to share along the way. 2) How Do You Make Sure You Don't Miss Everything Without Staying On Twitter 24/7? Believe it or not I do sleep. Not well since I have a 2 year old that thinks 3 am is a great time to get up and play. But I do take breaks, often. One of the biggest misconceptions is that you have to be on Twitter all the time to see all the content. Keep in mind, if stuff is really good or "not to miss" lots of people will pass it around over the course of several hours/days. You are bound to see it at some point. KnowAboutIt is new service I have been playing with. Instead of finding the most important content it gives you every link that comes through your stream along with the tweet and who tweeted it. You also get a daily email of the most popular content along with what they call Hidden Gems, content that might interest you based upon what comes through your stream. 3) How Do You Organize Everything You Find On Twitter? I have a group of monkeys that does all my filing, filtering, evaluating and organizing for me. Sadly, not true. But I do have lots of tools that I use to help me keep track of everything I find. The point to all this is that Twitter isn't work. It's not supposed to take up massive amounts of time or energy. Sure you have to spend some personal capitol keeping up and growing your network but as you have seen there are loads of great tools out there that you can put to work for you to find amazing and valuable resources for you and your classroom. What do you use? What are your favorite Twitter tools to keep up with or organize your stream. Leave some comments below. This is the second in a series I am doing all about Twitter. You can read the first post here, where I discuss the need to change the way we teach about Twitter. If you have read any of my leadership pieces before, you know I am big on reflection. As educators, looking back on our practice is one of the most important things we can do. I try to set aside time each day to just think about how I did a workshop or something I said or a resource I looked at. So is the case with learning about something. Take Twitter for example. For those that use the service heavily, or even those that don't, they can think of a few things they wish they had known when they were starting out to make the learning curve a little less severe. I included, wish I had know several things. I also posted it on Google Plus and asked a few of my folks in my office the same question. Now that you use Twitter (to whatever degree is comfortable for you) what would you go back and learn early on? Or if you are new what is it you don't understand? Before Twitter-"I wish I knew how to make it meaningful to me." This is one that several people said to me. And it goes back to my earlier post. There is a misconception to what Twitter is and what it is not. When I started almost 3 years ago the perceptions were much worse then they are today. How could anyone in education be involved in something so narcissistic? Twitter is only for people who want to share what they ate that morning or for celebrities to spew something even more dumb then they can do face-to-face. It isn't the place for educators to have meaningful conversations or exchange resources.While many of those things do occur, in the education world, there are some huge advantages to using something real-time like Twitter over traditional resources. The problem is, as I laid out before, often times the way Twitter is presented is irrelevant to the people wanting to learn about it. Many sessions are generic in nature. And again, I will be the first to admit that was me. I taught sessions like that. There is so much specific information out there to find that, at this point, it should be easy to differentiate our training so that if English teachers want to learn we show them #engchat first. Or if science teachers want to learn we show them a great list of science teachers to follow. Like anything in technology or learning in general, making the content meaningful is the first and best step. Before Twitter-"I wish I had known how to find people and build my PLN." Again, several folks said that to me. And people who have been on Twitter for a while still struggle with this. Finding good folks to follow can be a challenge. If you start out on your own, you really might not know a soul to follow. 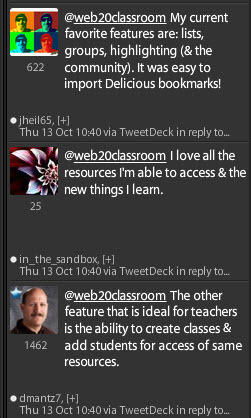 Thank goodness for sites like Twitter4Teachers. This is a great place where you can find other educators with similar interests to follow. When I was starting out, I stumbled upon this site. I was doing a Google search for "Twitter and Teachers" and thank goodness I found it. Otherwise I wouldn't know where to begin. But that is just one way. Twitter search is a great way to find people to follow. Plug in some key words and see who is tweeting. Another thing people may not understand is the idea of quality over quantity. You don't have to follow 1000 people to get a huge amount of meaning out of Twitter. Rather, choose people who provide value to you. Perhaps they tweet great resources. Or maybe they push your thinking. Remember, you can follow folks and they may or may not follow you back. That's ok. I see more and more that people are worried about followers. Oh I need only 2 more followers to get to 50. If Twitter is about seeing how many followers you can have, then maybe you are in it for the wrong reasons. Worry about the information you want to gain while here and forget about the other stuff. Before Twitter-"I wish I had known I could talk to people." This statement was made a few times to me. And it is always surprising each time I hear it. Twitter is social media and social networking. Social. Engagement is a part of this medium. Now, I am big believer that lurking is ok on Twitter. Nothing wrong with plugging in and seeing the great information that is out there. The beauty of social networking and social media is that it levels the playing field. And really anyone in that space is just the same. If someone says something that you don't agree or you do agree with, say something. Send them a mention. Engage in a conversation. Ask for help if you need it. I don't mind sending a message out to Sir Ken Robinson or asking Robert Marzano a question. Even last night I had a great conversation with the Governor of Delaware. Sometimes they might not get back to me. Often times, they do. The point is, engage. Twitter is less about consumption and more about engagement so put yourself and your ideas out there and see where they might take you. Before Twitter-"I wish I had known I didn't have to read everything." I can't tell you how many times I have heard this. It goes to the statement that people don't have time because there is just too much information to sift through and they don't know how to organize it all and it probably isn't worth it anyway. There is a well known thought that Twitter is like a river of information. Some people get in their raft and ride those rapids everyday. Others stay on the shore and watch it go by. When they want to find something they wade in, find what they need and come back when they are ready to go at it again. You don't have to be on it 24 hours a day, everyday. Many times, good, quality information is past around over a few days. Can't miss resources or blog posts that make a difference will go around and around and around. So if you have taken the time to follow high-quality folks, chances are you will get the good stuff. If not, there are other ways to make sure you don't miss stuff (but you will have to wait until the next post to learn about those). Before Twitter-"I wish I had known about hashtags." This is the big one. More than 90% of the responses I got to my questions about what folks wish they had known said once they learned about hashtags, things changed for them. This is the sole reason I changed the way I do Twitter PD. I always start out with the idea of the hashtag. Using Twitter search can yield great results. But once folks learn about hashtags it completely changes how they use Twitter to find information. Hashtags can also help in finding good, high-quality people to follow. If you are talking to people about Twitter, show them the hashtags you use. If you don't know which ones to use check out this huge list and do some searches. A good one to tell everyone about is #edchat. (In full disclosure, I am biased towards edchat because I helped create it.) Hashtags can also lead to chats which help deepen Twitter conversations. So, if you don't know that much about hashtags now, get to know them. They are just little pharses that were created to help track conversations but have turned in to a powerful delivery system of information, resources, and more for educators. What else do you wish you had known? What advice would you give to a new Twitter user? Leave some thoughts below. In part 3 we will look at all the tools I use to stay organized. Keep an eye out for that on Friday.